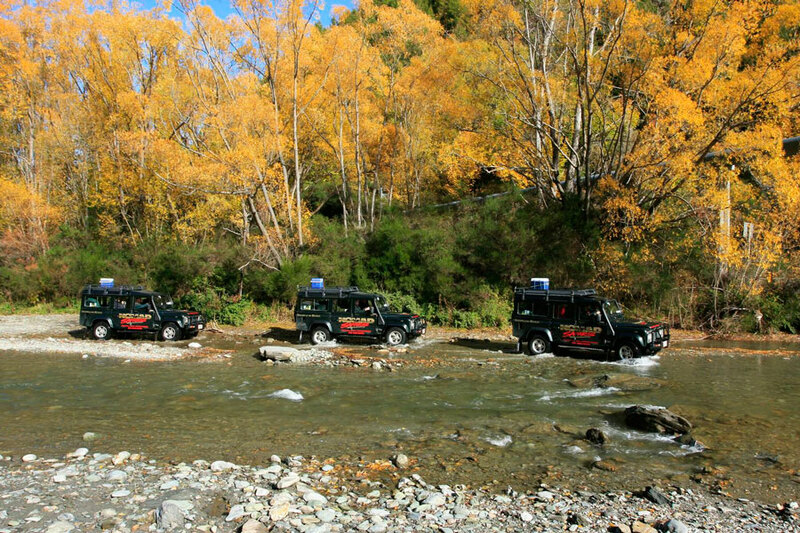 Queenstown 4WD specialist Nomad Safaris has 20 years experience in operating small and personalised backcountry adventure tours around Queenstown, New Zealand. The award winning Safari of the Scenes will capture the heart of the most avid LOTR fans. Enjoy historical adventure trips to the abandoned gold mining towns of Skippers Canyon and Macetown. 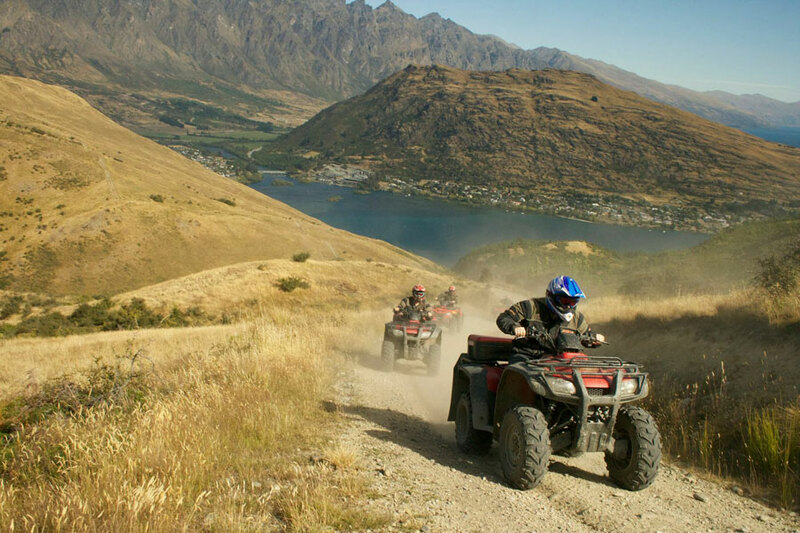 Or experience spectacular views of Queenstown whilst riding 400cc automatic ATVs with a Quad Safari. The Queenstown area featured prominently in the filming of the incredibly popular Lord of the Rings trilogy. 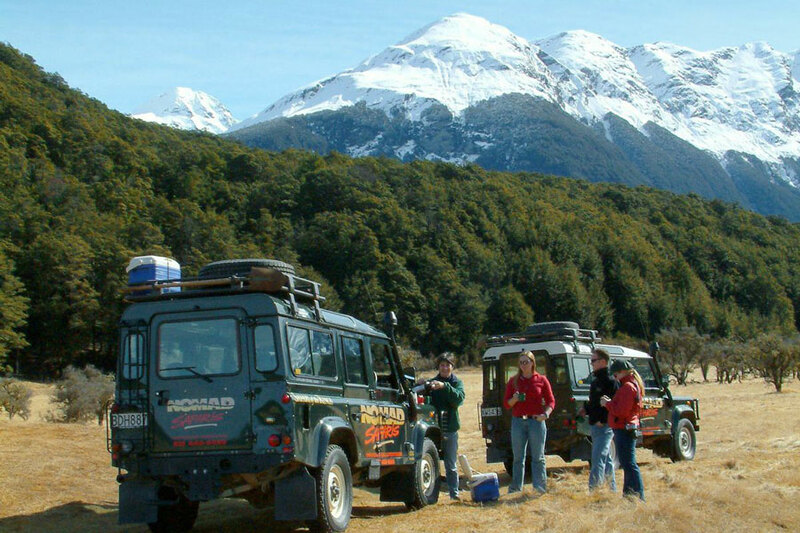 Nomad Safaris operate two different LOTR tours and both can be done in one day! Visit the filming locations of Minas Tirith, Misty Mountains, the Pillars of the Kings (Argonath), Gladden Fields, the Ford of Bruinen and more. Travel an historic goldmining road, following the Arrow River, stopping for a refreshing morning or afternoon tea and the opportunity to try your hand at gold panning. Take in the spectacular panoramic views over the Wakatipu Basin. Includes: Gold panning & refreshments. The tour to rule them all, for LOTR fans. This scenic safari offers breathtaking mountain and forest views along the shore of Lake Wakatipu towards Glenorchy and the Paradise Valley. Visit the filming locations for Isengard, the Ithilien Camp, Lothlorien & Fanghorn forest and the Seat of Seeing / Battle of Amon Hen and many more. Includes: Movie props & refreshments. 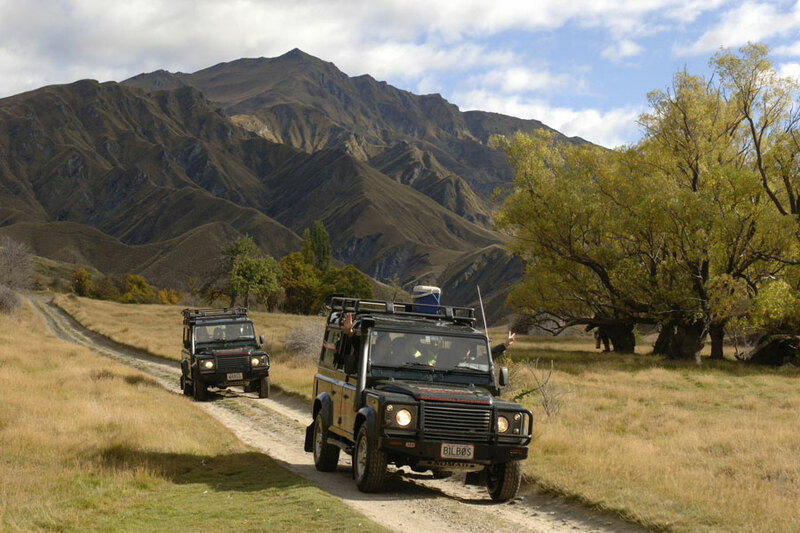 Experience true off-roading with Queenstown’s professional adventurers. Small, personalized tours take you deep into NZ backcountry. Step back in time with Nomad Safari to the gold rush of the 1860’s! 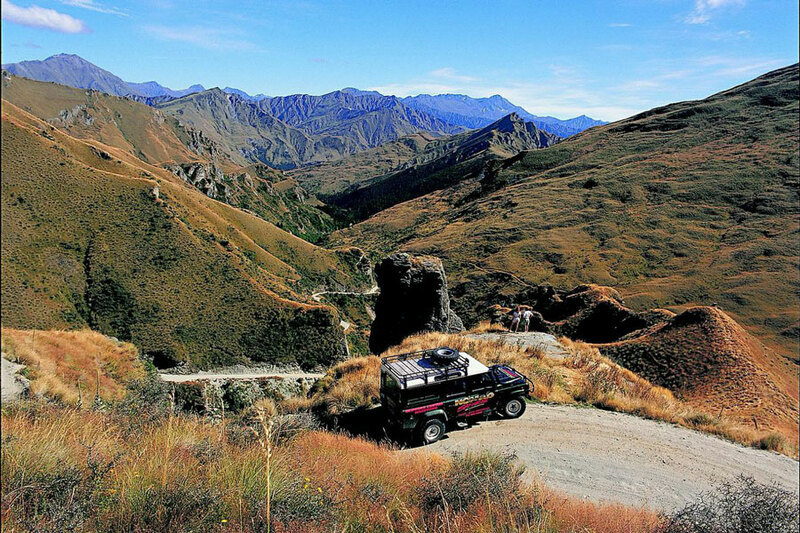 A heritage 4WD tour venture down the Skippers Road – hacked by hand and clinging to the sheer Cliffside high above the Shotover River. Enjoy the awe-inspiring scenery from high above the gorge or down on the shores of the Shotover River, known as the richest river in the world in the days of the gold miners. Follow the miners’ old wagon trail and explore the historic gold mining town of Macetown. Long since abandoned after the gold rush, Macetown has now been transformed into a Department of Conservation reserve. Experience the narrow, rugged road in safety with a Nomad Safaris tour. 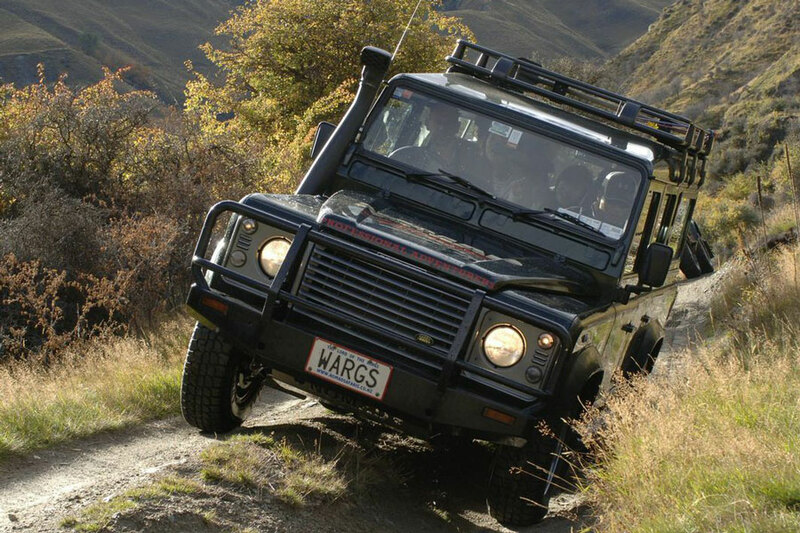 The Nomad Safaris 4WD Experience operates on a purpose-built test track incorporating the natural terrain on Queenstown Hill, before progressing onto the Macetown Road through the Arrow River. Obstacles and challenges include banked turns, ditches, poles and even a slalom course! Once on the river, the instructor will teach you the best routes and what to look out for. Learn to 4WD like a pro! Experience the thrill of quad biking on spectacular Queenstown Hill, with 360 degree panoramic views and over 25kms of off-road terrain. Full training provided by expert guides before your guided safari begins. Guaranteed fun, safety & adventure for all levels of ability! 2 hours PLUS on quads! Note: Rivers must be 16+, be conversant in English and have not have consumed alcohol or recreational drugs in the last 12 hours. A valid credit card is required on the day for liability and insurance purpose. Many of the Nomad Safaris tours offer an upgrade to 4 Pax Max, for a more personalised experience. Please enquire for more information. Enjoy free pick-up and drop off from/to your Queenstown accommodation.